A 1992 Lancia Delta Integrale with just 31 miles from new, is to be auctioned by at Race Retro Sale on 21st and 22nd February 2015. Estimated at between £90,000 – £110,000, this iconic car is being offered at auction in ‘brand new’ condition for the first time ever. The car has amazingly only ever been driven on the road once when it made the journey from the dealership to its owner, where it has remained over the last 22 years in perfect storage conditions. 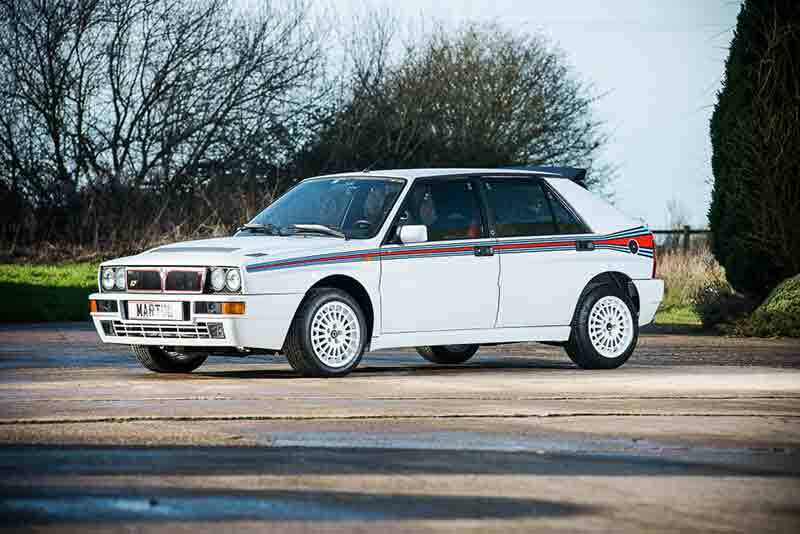 Finished in desirable white with the iconic Martini drinks company livery, the car is one of a limited run of just 400 that were produced to celebrate the Lancia Delta Integrale’s fifth consecutive World Rally manufacturers’ championship for Lancia. In order to improve the car’s handling, the ‘Evoluzione’ homologation specials featured a wider track at both the front and rear than earlier Deltas. To fit the wider track into the bodywork, the, already wide, wheel arches were extended even further. 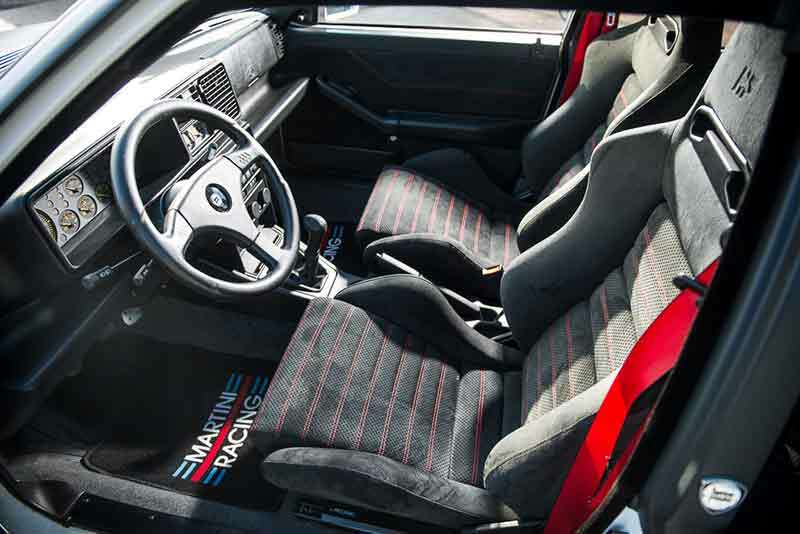 To compensate for a slight increase in weight and larger frontal area, the 16V turbo engine was remapped to deliver 210bhp, which improved performance by 5 percent (both on the road and gravel!). Production number 124, this vehicle is currently unregistered and comes complete with its original service book, manual, sales invoice and tool kit. 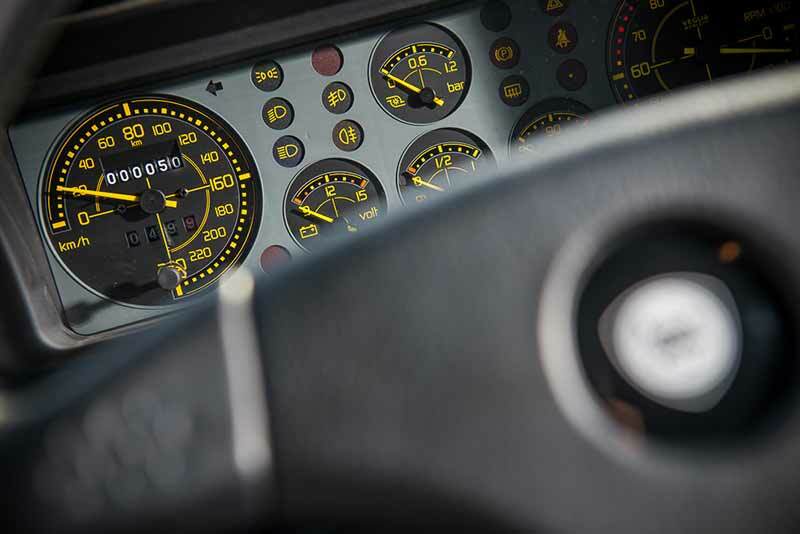 Visit the Silverstone Auctions website for more details about the 1992 Lancia Delta Integrale and the other lots on offer at the 2015 Race Retro Sale.